The West End Poetry Festival expands to four days in 2017, running October 18 through 21—Wednesday, Thursday, and Friday evenings and Saturday afternoon and evening. All events are free and open to the public. The detailed schedule is included below. The first night of the festival features a poets’ reception (open to all), poetry readings, and a screening of the documentary film Truth Underground about three spoken word poets (CJ Suitt, Kamaya Martin, and Jeremy Berggren), their struggles, their accomplishments, and the power of poetry. The festival’s third evening includes a reception with hors d’oeuvres and wine, readings by poets, and time for book signing and socializing. Jaki Shelton Green will read from her own work and share from her thoughts and experiences. The prodigious list of awards and honors held by this North Carolina native includes induction into the state’s Literary Hall of Fame in 2014, selection as the inaugural Piedmont Laureate in 2009, a 2007 Sam Ragan Award for Contributions to the Fine Arts of North Carolina, and a 2003 North Carolina Award, the state’s highest civilian honor for significant contributions to the state and nation in fine art, literature, public service, and science. Her publications include Dead on Arrival, Dead on Arrival and New Poems, Masks, Conjure Blues, singing a tree into dance, breath of the song, Blue Opal (a play), and Feeding the Light. Jaki Shelton Green will lead a poetry workshop, open to all. Green has taught poetry and facilitated creative writing classes at public libraries, universities and community colleges, public/private schools, and literary organizations. Poets participating in this panel will share poems and provide perspectives on the role of poetry in resistance to many things, from politics to social norms and more. 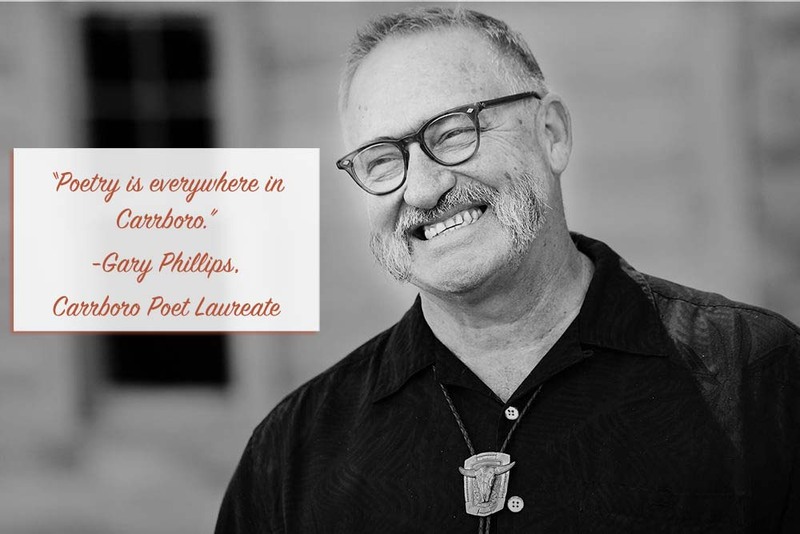 Gary Phillips, Carrboro poet laureate, will read before Tyree Daye, whose River Hymns won the 2017 APR/Honickman First Book Prize, closes the festival with a reading. There will be time for questions from the audience and signing books.